In approximately a dozen states and a number of smaller municipalities across the U.S., initiatives have been introduced that would allow state and local governments to dictate how restaurants (and retailers) schedule their employees. Some view this approach as interfering with employers’ rights to control the workplace, while others view it as a necessary tool to protect the rights of food industry and other retail workers. 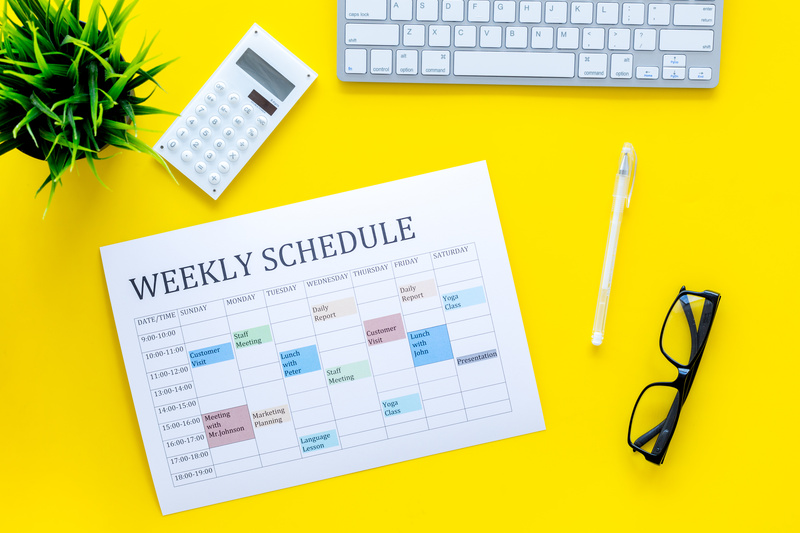 The impetus for the new rules – often referred to as predictive scheduling laws – emanates from the fact that workers often have very little ability to make adjustments to their work schedules in order to meet their responsibilities outside of work. Unpredictable and unstable work schedules have been fairly well documented in the food service and preparation industries, as well as in retail and custodial occupations. “On-call” or “predictive scheduling” activists argue that retail employers too often use scheduling practices that directly interfere with employees’ personal lives and ability to plan around their work hours, while others believe government intervention in the scheduling of employees through a one-size-fits-all approach intrudes on the employer-employee relationship and creates unnecessary mandates on how a business should operate. Many in the food service industry are concerned that predictive scheduling legislation will impede employers’ need to adapt to changing conditions in a store, particularly small, independently owned businesses that have limited staff and resources and may not be able to afford the penalties related to violations. Some employees have also voiced concern that they could lose some of the flexibility that attracted them to the food service industry in the first place. Shift Scheduling Changes. Requiring employers to be pay employees for a minimum of four hours of work or the minimum number of hours in the scheduled shifts, whichever is fewer, when an employee is sent home from work early without being permitted to work his or her scheduled shift. In addition, if an employee is required to call in less than 24 hours before the start of a potential shift to learn whether he or she is scheduled to work, an employer could be required to pay the employee a premium, equivalent to one hour of pay. This provision is found in eight states and the District of Columbia. Split shift pay. If an employee is required to work a shift with nonconsecutive hours with a break of more than one hour between work periods, an employer could be required to pay the employee a premium for that shift, equivalent to one hour of pay. Provisions like this exist in District of Columbia and California. Advance notice of schedules. When an employee is hired, an employer could be required to disclose the minimum number of hours an employee will be scheduled to work. If that minimum number changes, the employer could be required to give the employee two weeks’ notice of the new minimum hours before the change goes into effect. In addition, employers can be required to give employees their work schedules two weeks in advance and, if an employer makes changes to this work schedule with notice of only 24 hours or less, the employer could be required to pay the employee a premium, equivalent to one hour of pay. San Francisco, Seattle, New York City, and Emeryville, California have enacted laws to require employers to provide two weeks’ advance notice of schedules to employees in certain large retail and/or food service establishments. In order to handle predictive scheduling mandates, business owners should explore software options and even retaining outside vendors that provide scheduling and labor management solutions. A lack of training or understanding of predictive scheduling can be detrimental to a business’ bottom line, and scheduling practices can have a dramatic impact on labor costs. As with most new legal developments in the food service industry (or any industry for that matter), training and education is key.